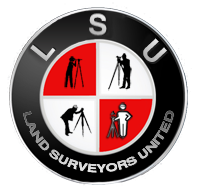 On Land Surveyors United we have dedicated support groups based on Location, Topics related to land surveying in general and Equipment manufacturers. Members can simply join a group related to the particular type of surveying equipment they use and discuss issues related to field use. You can share how-to related discussions, support documents or simply ask a question from the field. Other members worldwide with experience with the same equipment can respond, share or contribute to a discussion on the group itself or from the portable version of Land Surveyors United, from their cell phone. Below are just a few of the support groups for surveyors that can be found on the network. Join us today!